Raw materials → Shaft drive → microwave New style Microwave Tea Drying Machine drying equipment spout → finished products. Microwave heating is a radiant heating, is a direct effect of microwaves on the object to be heated simultaneously inside and outside, no to transfer heat by convection or conduction, so fast heating, high thermal efficiency, processing time is short, the material inside and outside temperature uniformity, thus saving energy, high drying efficiency, good drying quality. 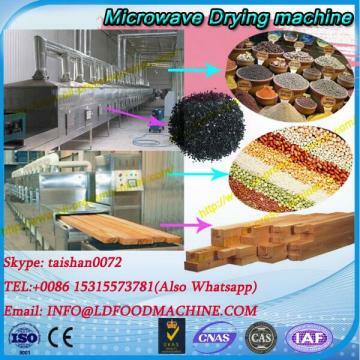 Intelligent Static microwave New style Microwave Tea Drying Machine drying equipment is microwave energy technology and New style Microwave Tea Drying Machine technology, and through a new kind of high-tech intelligent control microwave energy applications, it combines the microwave drying and New style Microwave Tea Drying Machine drying advantages while overcoming the conventional New style Microwave Tea Drying Machine drying temperature, long time, big energy shortcomings, in general material drying process, the drying temperature is 30-60 degrees Celsius, with a high dry yield, good quality, low processing costs, through intelligent control system can precisely control the water, etc. advantages. Also at low temperature and pressure under low oxygen content during drying, the dried material is weakened slows the oxidation reaction, thus ensuring the flavor, appearance and color of materials, easy to dry heat sensitive materials, especially for Herbal Extracts extract, beef sauce, chemicals low temperature drying of agricultural products, has its unique advantages. 7.Energy economy, high degree of automation. The packing is export woodencase, to avoid the demage for shipping on the way. •We provide presales service in various forms, for example, making investment budget,manufacturing,planning, etc. so that customers make a reasonable plan with less cost. •Investment budgeting: We provide services of product profit analysis, recommendation of machine and auxiliary equipment and relevant budgeting, human resources allocation and budgeting. •Plant Planning: We provide the mounting dimension of the equipment base,design of equipment layout, workshop ventilation, water transmission etc. •For customers buying our products, we provide them free training so that they can use and maintain the machine independently. •We will answer customer's question on technology in time. If needed, we will offer on-site guidance and assistance. •We can provide free technical guidance if customers need new equipment, add or rebuild equipment. • We will prioritize the product upgrade of former customers. The main operating items of the company include Food machinery, agricultural machinery, and forestry machinery. Depending on the Professional Technical Team and excellent service team, our company provides global clients with high-quality products, and has quickly become a new star in the industry. 'Never pursue the short-term profit at the expense of our future' is New style Microwave Tea Drying Machine's motto. New style Microwave Tea Drying Machine is a team full of ideal and passion as well as the vigor and vitality of pursuing innovation. 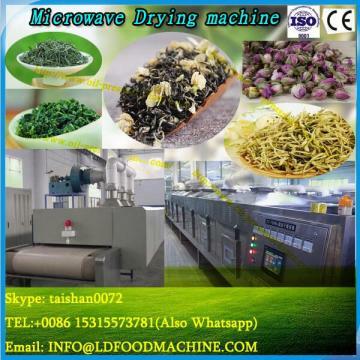 Ever since its establishment, New style Microwave Tea Drying Machine has enjoyed a great deal of trust and support. In addition, the rise of market share has laid a solid foundation for its being the most valuable company. We are looking forward to becoming your strategic cooperative partner and providing you with the high-quality service.